SKF（Shanghai）Automotive Technologies Co., Ltd.(“ATC” for short), established at the end of 2005, is a wholly owned by SKF Group. ATC covers an area of 25,000 square meters with 17,000 square meters construction area located in Shanghai International Auto Town Spare Parts Industrial park and has total headcount of over 500 employees currently. 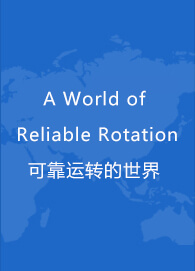 The main business of ATC is hub bearing units including HBU generation 1, HBU generation 2 and HBU generation 3, Small Taper Roller Bearing (STRB), suspension bearing etc. ATC has good relationship with famous automobile manufacturers from home and abroad that features long-tem stability and mutual benefit. Our main customers are Shanghai General Motor, DPCA, Chongqing Ford, SAIC Motor, Shanghai Volkswagen, FAW-Volkswagen, Wuhu Cherry and Shenyang Brilliance etc. Well equipped with advanced hardware equipments, including bearing manufacturing machine, and testing equipments of SKF global testing center, ATC also possessed a highly qualified team of production, quality, technology and management. In 2009, we achieved TS16949 certificate for Automotive Quality Management System from Lloyd’s successfully. In the same year, we passed the audit of DNV for our ISO14001 Environment Management System, OHSAS 18001 Occupational Health and Safety Assessment System. ATC is certified to Ford Q1 in Nov 2011 as well. We not only focus on quality and management excellence, but also our highly sense of responsibility. We continuously contribute to the environment protection, sustainable development and social responsibility, exceeding all parties’ requirements and expectations. In line with SKF vision and mission, all ATC employees are working on overall continuous improvements and 6 sigma projects, making our efforts to pursue manufacturing excellence in terms of five zeros: zero accident, zero defects, zero broken promise, zero loss and zero waste. It keeps ATC up and always gives an outstanding performance among Car Chassis factories of Automotive Division in SKF. With the expansion of customer demand, our existing production capacity will face a big challenge. Now we are going to start up our 2nd phase project in a newly-bought land. The new project will cover a new plant for ATC production and expansion of GTCC. And will be finished by end of 2013. Let’s wait and see the splendid future of ATC and SKF group!